Custom Power Solutions manages the global partnership between IMP and SDMO. The division offers global markets access to SDMO's line of customizable power generation products and services. This global affiliation pairs the engineering and manufacturing expertise of SDMO, with IMP's global distribution supply channel. SDMO, headquartered in Brest, France, is a power generation solution supplier. The company utilizes its in-house engineering, and state of the art manufacturing facilities to build, assemble, package, and install custom-designed generator sets and power plants. The equipment supplied by SDMO also includes equipment training, post-sale services, and direct access to spare parts. 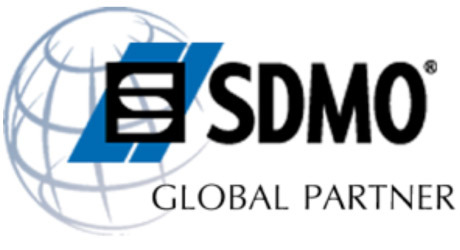 The IMP/SDMO relationship pairs the engineering & manufacturing expertise of SDMO, with IMP's global distribution supply chain, to provide customers with a sole source for SDMO customized solutions, products, and services. IMP's distinctive relationship with SDMO grants customers unique access to SDMO's engineering and manufacturing expertise. Teamed with IMP's global supply chain, clients benefit from a single distribution source of SDMO's customized solutions, products, and services across the globe. The custom-made equipment IMP supplies from SDMO is developed, designed and manufactured in conjunction with their Engineering and Product Development. The custom SDMO solutions offered by IMP are constructed under a specialized model that manufactures products at sites by product type. This allows SDMO to provide IMP with proprietary, well-priced, custom solutions, through a single point of contact. SDMO offers standardized energy products, with accompanying accessories, in addition to its customized solutions. These products are available directly from IMP. SDMO produces power generation products in both 50 Hz and 60Hz configurations, utilizing engines supplied by multiple manufacturers. The units produced by SDMO offer a versatility in their design and composition that enables them to be assembled in multiple configurations. This ensures the products produced deliver to the specific requirements of individual customers. The Oceanic Generator Sets Three Phase option allows customers to select from either a 50 Hz at 400-230 Volts, or a 60 Hz at 480-227 Volts. This product, functional as either a Continuous, Prime, or Standby source of power, supplies between 330 kVA to 700 kVA of electricity. Available in a sound attenuated enclosure, or as an open unit, the Oceanic utilizes a Doosan engine to power the set. Configured with an MTU engine, the EXEL range of generator sets offers 230 to 480 Volts at both 50 and 60 Hz. Supplying between 275 kVA to 715 kVA of electricity, the unit is offered an open model, as well as a sound proofed unit. This Three Phase Generator can be configured for Continuous, Prime or Standby applications. With a Volvo engine producing between 200 kVA to 700 kVA of power, the SDMO Atlantic line of generator sets offers customers a wide range of options. Configured as a Three Phase Power Generator Set, the customer is able to select either an open or enclosed configuration. This Three Phase unit is functional as a Continuous, Prime or Standby power source. The 50 Hz version offers 400-230 Volts, while the 60 Hz set provides 480-227 Volts. Utilizing a John Deere engine, the Montana Power Generation unit is a Three Phase Power Generator Set with up to 300 kVA of power. It utilizes a John Deere engine available in an electrical output with a range from 22 kVA to 300 kVA. The set is available as an open or enclosed unit, and is offered in 50 Hz, 400-230 Volt and 60 Hz, 480-277 Volt configurations. It can serve as a Prime, Continuous or Standby power source. The Pacific Power Generation unit is SDMO's Mitsubishi entry into the Three Phase Power Generator market. It utilizes a Mitsubishi engine to produce an electrical output with a range from 6 kVA to 44 KVA. The set is available as an open or enclosed unit, offered as Continuous, Prime or Standby, and is offered in 50 Hz, 230 Volt and 60 Hz, 240 Volt configurations. SDMO's Adriatic Power Generation unit is a Three Phase Power Generator Set that utilizes a Kohler engine to produce electrical output as a Prime, Continuous or Standby source with a range from 9 kVA to 21 kVA. The set is available as an open or enclosed unit, and is offered in 50 Hz, 230 Volt and 60 Hz, 277 Volt configurations. The Standard Products manufactured by SDMO, and offered by IMP, incorporate the wide range of energy solutions individual businesses require. This scope, readily available from stock, includes generator sets designed for varying output levels as permanent or mobile fixtures. IMP supplies customers with custom services in conjunction with SDMO's product design services, engineering staff, and technicians. These unique services, developed individually by SDMO and managed for the customer by IMP, provide clients with a reasonably priced custom solution within a sensible delivery time frame. The design services provided by SDMO's three distinct design departments, and facilitated by IMP, provide customers with a single point of contact for their entire project. This interface allows the customer to focus on the project, while IMP handles the management of multiple manufactures, suppliers, delivery sources, and other time-intense variables. IMP collaborates with its client and SDMO's design and engineering departments to pursue every reasonable solution and ensure the technical aspects of the project are satisfied. This allows for changes or additions to be resolved quickly. SDMO's line of Engineering Services is built on a successful history of developing custom power generation solutions for a range of global locations, varying power requirements, and in compliance with numerous unique variables. Every solution engineered by SDMO, and its team of 80 engineers and technicians, is developed after skillfully identifying the project's requirements, providing an accurate needs analysis, and determining the most practical solution. Order procurement includes the validation of the product arrangement, identification of the delivery time schedule and delivery of a solution based on the identified and understood project variables. Once completed, the items are procured through an established channel from SDMO that is managed by the IMP account team. Management of custom solutions requires the collaboration of the design, engineering, procurement, and logistics teams to ensure its proper implementation. IMP's customer account team handles management of the project from its inception to its delivery and installment. Working closely with both the client, and the multiple divisions involved in a custom solution at SDMO, the assigned Project Manager ensures a smooth transition from the project's initial developmental stage to its completion. The Project Management provided by IMP includes the provision of a direct line of communication for the customer, timely updates on project status, dedicated sources for answering any project questions, and the direct management of the project to ensure its delivery within the identified timeline. IMP's internal support center provides customers with full-service logistical planning and delivery. Its staff engages the client early in the process to ensure they are provided with every aspect necessary for the delivery of their item. This includes delivery quotation, shipper engagement, tracking of item from origination to destination, and destination fulfillment. Experienced in delivering large items across long distance, IMP’s team of professionals provides cost-effective delivery solutions based on multiple variables, time constraints, unique customer needs, and in-transit changes. The SDMO/IMP alliance provides customers with the benefit of a dedicated support team to help guide them through any issues that may arise after purchase. Configured to facilitate the challenges global clientele generate, IMP affords customers with the benefit of multiple resources to ensure the cause of their issue is accurately diagnosed and delivery on a solution is handled promptly and professionally. IMP's team is committed to providing the highest level of support possible. This requires a level of communication that ensures the client is aware of all the resources available to them and that they are employed properly. To that end, IMP’s dedicated account team has a direct line of communication with SDMO's wealth of internal support resources to ensure they continually deliver to expectations. These resources include committed training, access to OEM parts, and product specific technical support. For more information, please view our Inventory, call us at 1-305-885-9885, or Contact Us to see how we can be of service to you.